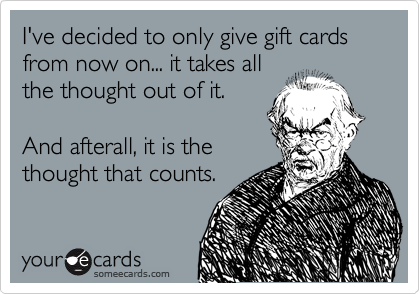 One of the industries that suffered from disruption by the internet was the gift card business. Though in an ironic twist of fate, it is now growing rapidly thanks to a combination of the internet and digital print technology. 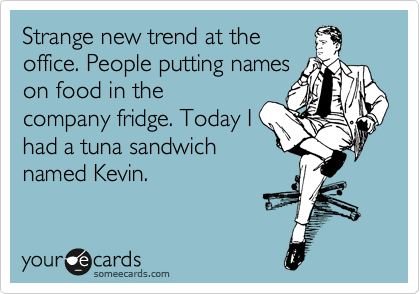 For a short while e-cards were all the rage, though have been on the decline for the last decade. There are still the JibJab cards and there are a range of video card formats. 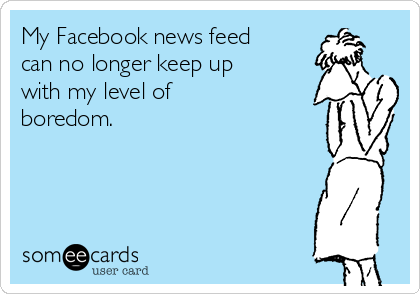 But in most cases, people feel that those who send basic e-cards haven’t really tried hard enough. Though the cards from someecards often demonstrate that very precise thought has gone into the selection. But the big growth has been in the manufacture of customised gift cards on sites such as Send Out Cards or Hallmark Cards. I wrote about Send Out Cards last year. On these sites you can choose from existing card designs, or create your own design by uploading your images and writing your message in your choice of font and colour. The cards are then printed on digital printers and mailed on your behalf. The difference in the businesses is that Send Out Cards is a multi-level marketing business while Hallmark is a single purchase business. Both are thriving – as there are so many reasons to give cards. And a customised card is fun to create, as well as to receive. In the event management industry for example, businesses are using them as follow-up to events, where they use photos from the event to really personalise the thank-you message. Digitally printed cards are not the only way that Hallmark is evolving. Last week I was browsing the card section at my local newsagent for humorous Father’s Day cards – I had left it too late to customise one – which is the only downfall of creating your cards online. It was here that I came across these “Hallmark Helpers“. 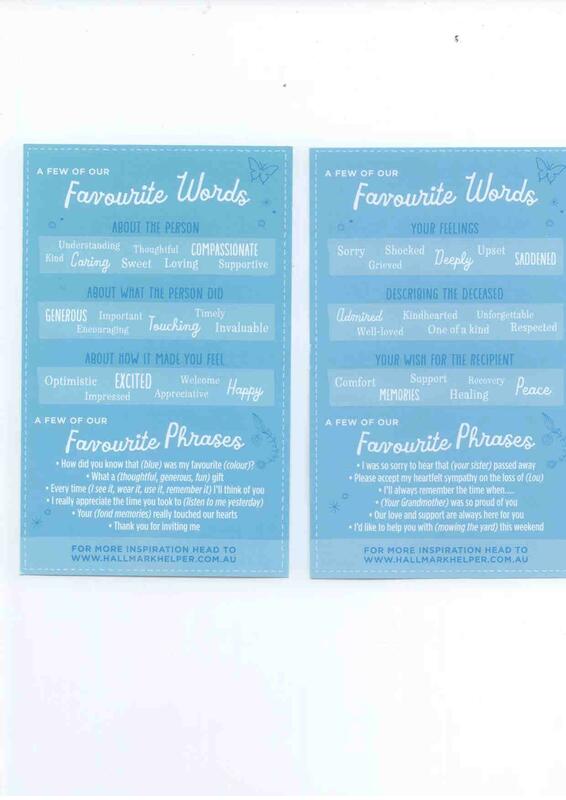 They are tactile printed tips to help you write better messages on your cards – because it’s not just the choice of card that is important, it’s the words you add that really make the card. And we all know people who struggle to write cleverly, or ask others to write the messages – “you’re the wordsmith in the household” they exclaim. 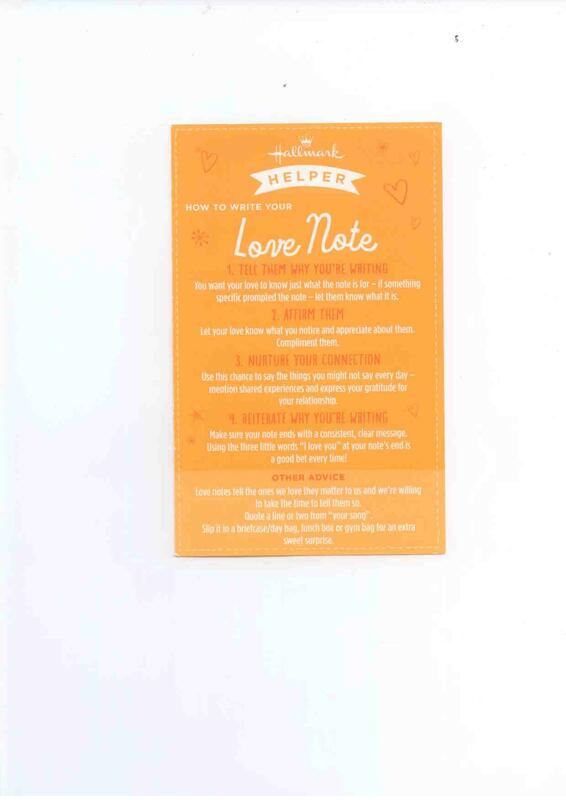 The Helpers have helpful tips for Love Notes, Thank You Notes, Sympathy Notes, Congratulations Notes, how to Make Dad’s Day and more. 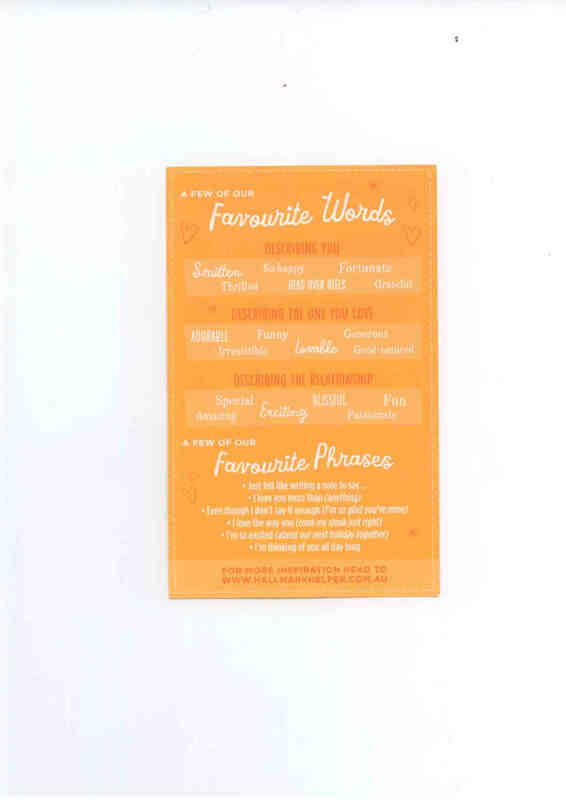 There’s even Favourite Words, Favourite Phrases and a website for more inspiration. So a simple customer service, supplied from the insights about the issues facing people when they write gift cards, is now helping to sell more cards. And apparently loads of people are using the Helpers. As you know, most people appreciate a hand-written card more than a text message or e-card, as it demonstrates a higher level of involvement and consideration by the sender. The problem for the future of hand-written or customised printed cards, is of course the literacy levels of our children and their ability to write comprehensibly and clearly. Not to mention their ability to concentrate for any period of time to write a message. So despite the Helpers, we may eventually not be able to help ourselves – so to speak – as literacy levels continue to decline. There may be a future for e-cards after all, where computers do it all for us?